September 23, 2016 October 30, 2017 / Julie Brook, Esq. 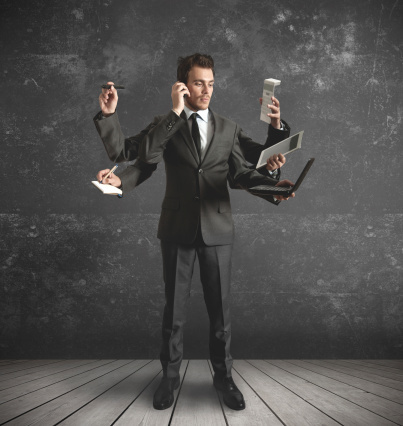 Many lawyers believe that their productivity gets a boost when they multitask. Sadly, it may be just the opposite. But because multitasking isn’t going away anytime soon, lawyers can learn ways to break bad habits and multitask more effectively. Legal work is interaction-rich and interruption-driven. Lawyers depend on others for information and input, yet struggle to complete analytical, creative projects in the face of constant distractions. This has always been a juggling act, but with increasing accessibility and connectivity via technology, multitasking is greatly intensified. Catch yourself. Stop briefly to decide if it’s appropriate to multitask on this task at this time. Use multitasking for simple and familiar tasks that don’t require much creativity, analysis, or problem solving. If the tasks you shift between are complex, the time and accuracy costs of multitasking will be greater and you’re likely to lose, not save, time. Turn off technology periodically. Minimizing technological interruptions is a powerful strategy. It requires a high degree of self-discipline to turn off and keep off your devices. If you absolutely must check them, set a time limit and stick to it, e.g., check messages on the hour only. When drafting a document on your computer, it can be very helpful to shut down email, instant messaging, and any other extraneous programs. Shut the door. Minimizing interruptions and distractions can be as simple as closing your door, moving to a conference room, or asking your assistant to take messages. Take the initiative in managing people’s expectations about your availability, e.g., if you’ll need an extended period of time to work on a task, tell people (or have your assistant tell them) that, although you’re in the office, you won’t be available for calls or conferences for the rest of the day. Always consider whether you can delegate some of the tasks you’re multitasking between. Develop a task-tracking system. One of the major strains of multitasking is trying to remember all the things you’re working on while you deal with interruptions. Trying to track those tasks in your head further taxes your memory and attention. To address this problem, develop a method for tracking tasks, e.g., written notes, electronic to-do lists. When the inevitable interruptions occur, you’ll be able to remember what you were doing and where you left off. Test yourself. People generally underestimate how frequently they multitask and how much time they lose multitasking. One useful exercise is to stop every hour or so and count how many tasks you’re actually switching between at that time. Because multitasking’s hidden toll is greater when more tasks are involved, the higher number of tasks may explain why your projects take longer than expected. Pace yourself. Although it’s counterintuitive, sometimes you need to slow down to speed up. Multitasking is like sprinting: it can get you somewhere really fast, but it’s not very useful over the long haul. Find a productive pace for yourself and use multitasking sparingly and wisely. Taking periodic breaks and sitting quietly can refresh your mind, sharpen your attention, and save you time in the long run. Not all these strategies will suit everyone; choose what sounds promising and adapt them to meet your needs. Hopefully they’ll help you thrive in a world in which attention is a scarce and precious resource. This blog post is adapted from an article Andrew Elowitt wrote for CEB. 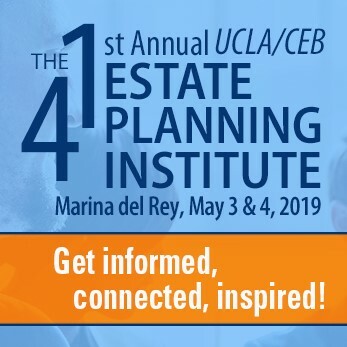 If multitasking is causing you to feel burned out in your law practice, check out CEB’s programs from Renewal Retreat 2016: Finding Balance Without Quitting Your Day Job and Avoiding and Addressing Attorney Burnout.